A debate over the size and role of government was at the center of a recent dispute over funding for the Sedgwick County Health Department. While it may be an exaggeration to say that public health is now under attack in Kansas, it’s fair to say there is growing concern among public health advocates about what recent budget cuts in the state’s largest city and county may portend. Social and fiscal conservatives now control the five-member Sedgwick County Commission in Wichita. And Chairman Richard Ranzau says the new majority is attempting to restore what he calls “core American values” to county government. An attempt by the commission’s conservative majority to cut approximately $3 million from the county’s 2016 budget was an indication of their determination to restore those values, Ranzau said. “I think we’re starting to do that in the county, and some people don’t like it and some do, and we’ll continue to have that debate,” he said. The proposed budget cuts were aimed mostly at arts, culture and public health programs. The Division of Health and Human Services and the Sedgwick County Health Department were targeted for nearly $1 million in cuts. Conservatives argued that it was more important to fund infrastructure improvements without incurring additional debt and to hold the line on property taxes than to continue to support nonessential programs. 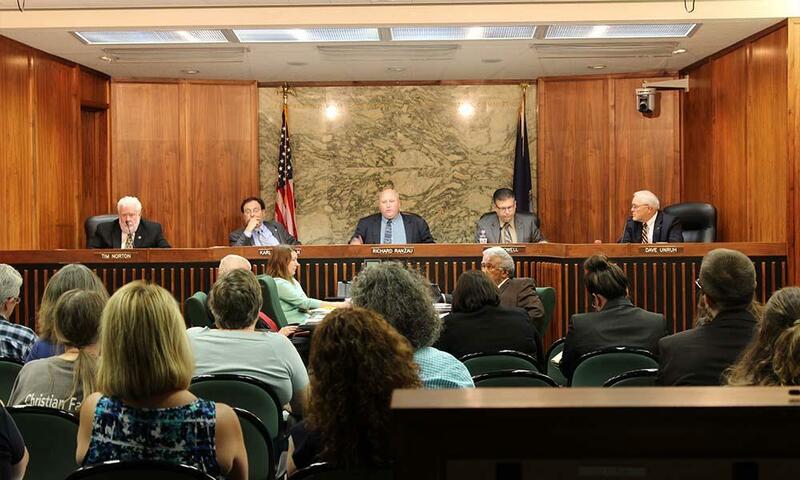 In response to a coalition that sprung up to oppose the cuts, commissioners agreed to maintain some funding for health programs that in their estimation directly benefited people. 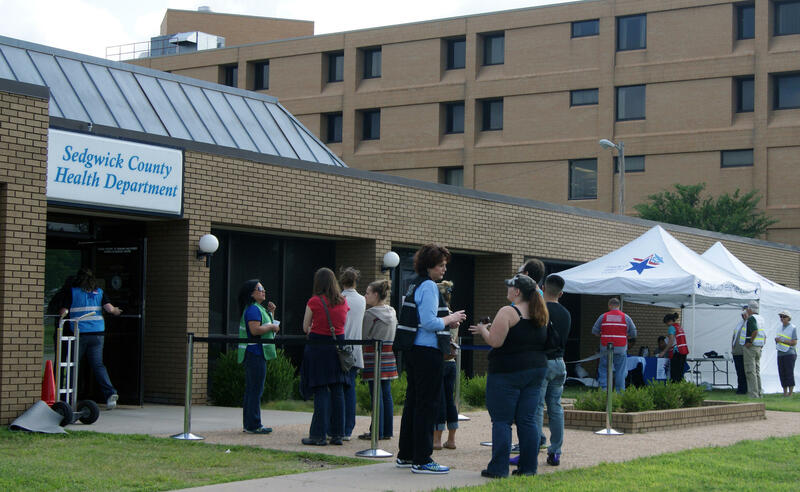 They restored $175,000 of the $200,000 requested by Project Access, a program that helps connect low-income residents to health care services. And they provided $91,000 for a health navigator program. But when the final vote was taken in late August, the commission’s conservative majority held the line on most of the cuts to public health programs, including initiatives aimed at improving the county’s immunization and infant mortality rates. Also cut was $48,634 earmarked for a county health assessment. The assessment and the data collected for it are used by many non-governmental groups to seek grants. It is also used to track progress toward goals in a Community Health Improvement Plan. Commissioner Tim Norton opposed the cuts, fearing they could jeopardize the health department’s recent accreditation by the national Public Health Accreditation Board. The Sedgwick County department is one of three in Kansas to achieve the quality designation, joining the Johnson County Department of Health and Environment and the Lawrence-Douglas County Health Department. “I’m just hoping that the dominos won’t fall again next year and that we start dismantling our public health system in Sedgwick County,” Norton said. A conservative majority on the five-member Sedgwick County Commission attempted to cut about $3 million from the county's 2016 budget, aimed mostly at arts, culture and public health programs. Jeff Willett, vice president for programs at the Kansas Health Foundation in Wichita, helped lead the opposition to the public health cuts. It was among the first battles taken on by the foundation since obtaining a change in tax status that allows it to lobby on policy issues. Since the days of Crumbine, public health has focused on preventing communicable diseases. Local public health departments still focus on preventing communicable disease. They’re still where most Kansas children are immunized, for instance. But more and more they’re also working to prevent chronic conditions, such as Type 2 diabetes. 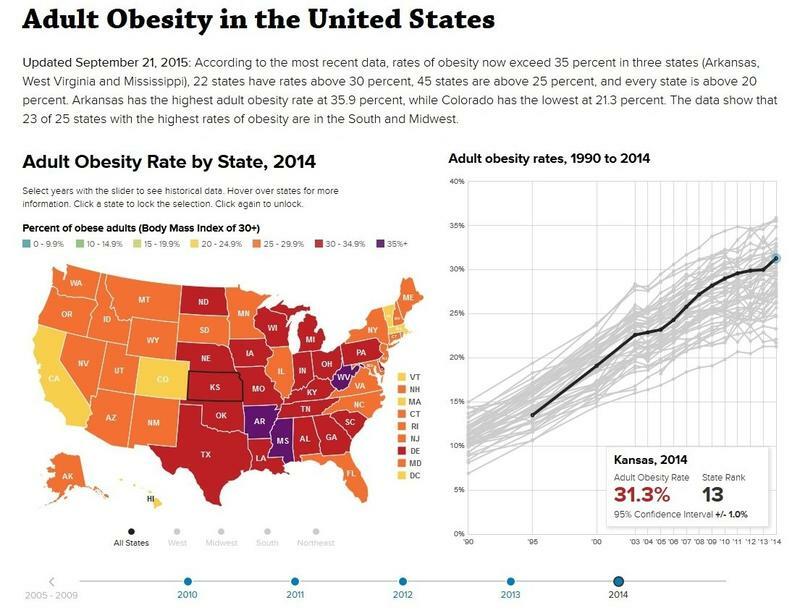 The number of Kansans with the obesity-related disease has exploded in the last decade. Treatment costs now exceed $1.5 billion a year, according to KDHE. Local health departments are at the forefront of efforts to reduce that cost and the suffering associated with the disease by helping to educate Kansans about how to prevent it through healthier eating and exercise. But it is precisely those kind of “collective” initiatives that Ranzau objects to. In his address to the Pachyderm Club, Ranzau acknowledged being overweight. But he said it’s up to him alone — not the government — to do something about it. “She said we need to think less about the individual, more about the collective,” Ranzau said, adding that the professor in question had a degree in community psychology. 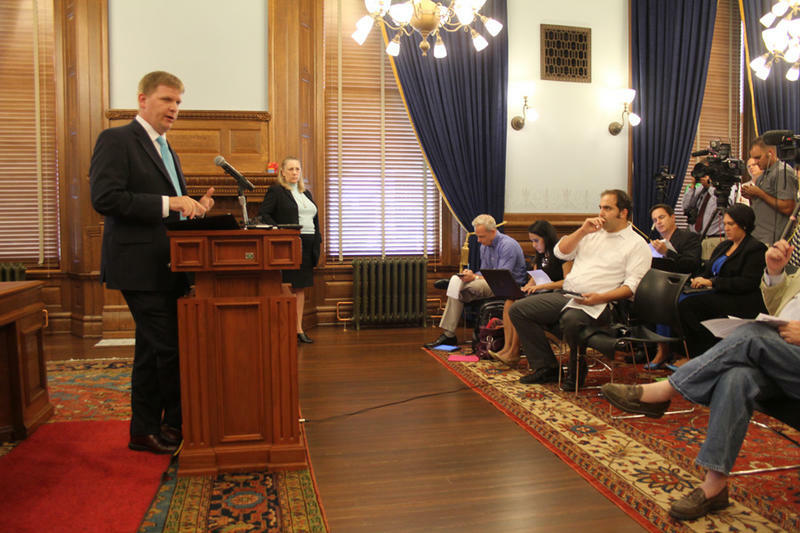 Ranzau and other conservative commissioners also were highly critical of an analysis done by the Kansas Health Institute that said the health cuts — as originally proposed — could contribute to as many as 65 preventable deaths per year. The analysis localized the results of a national, peer-reviewed study published in the journal Health Affairs that linked decreases in public health spending to increases in preventable deaths. Dan Partridge, director of the Lawrence-Douglas County Health Department, said he understands Ranzau’s concerns about government overreach. But he said the research is clearly on the other side of the argument. Interventions must target both individuals and entire populations if their goal is to reduce the incidence of both communicable and chronic diseases. The behaviors that affect our health are heavily influenced by powerful cultural and social forces, he said. People often need help to make healthy choices. That is especially true, he said, for people with limited education and those living in poverty. “We can’t just create this clean intellectual divide and wash our hands of our neighbors’ health outcomes, because the reality is the data says they’re interconnected,” Partridge said. To emphasize his point that social and environmental factors matter, Partridge cited a 2012 study that focused on people who moved from high-poverty areas to more affluent neighborhoods but did nothing else to improve their health. Partridge and other public health officials fear that without an all-out education effort, more health departments could face cuts as state budget shortfalls and shrinking tax bases conspire to put more pressure on county budgets. Editor’s note: The Kansas Health Institute is the parent organization of KHI News Service, which is editorially independent. Almost one in three adults in Kansas and Missouri is not just overweight but obese, according to a new report from the Trust for America’s Health and the Robert Wood Johnson Foundation.